Though, returns on FDs are considered insufficient to beat the inflation, but still it holds vast importance in financial planning. 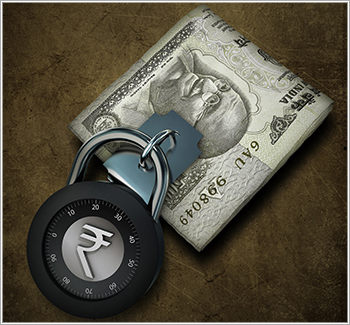 Fixed Deposits or FD's are Indian favorite investment tool as they offer both security of returns and liquidity. Though, returns on FDs are considered insufficient to beat the inflation, but still it holds vast importance in financial planning. Emergency corpus: Building an adequate emergency corpus is first and foremost goal for any individual. The main criteria for the emergency fund is its liquidity and accessibility to an investor, which is ultimately the features of an FD. Though returns on emergency corpus are not vital, but, FDs would keep the promise of easy accessibility with decent returns as well. Starting up investment: While starting a career, it is recommended that an individual should invest his/her surplus in less volatile instruments. Therefore, FDs serve as the best base to start creating an investment portfolio. Ploughing back profits: Equities or high risky investments earn handsome returns over a period of time, which needs to be booked as and when opportunities arise. But, these profits earned should then be diverted to debt segment like FDs rather than being reinvested into other risky assets. Apt for senior citizens: Senior Citizens could seek 0.25% to 0.50% more interest on fixed deposits. Moreover, a senior citizen would not be taxed for an interest income of upto Rs. 2 lakhs on these FDs, if invested in the name of their major children. Towards retirement: As one approaches the sunset years, there is a need to shift the exposure to secured instruments. Therefore, FDs offer themselves as an attractive tool during this time. Tax saving: Interest income on fixed deposits is tax-free up to Rs. 2 lakh per annum for non-senior citizens and Rs. 2.5 lakh for senior citizens. Despite all these factors, it should be kept in mind that all FDs are not secured and thus, assess each deposit’s rating and safety before investing.